Please be advised that a prerequisite of attending this training is that participants have completed the *Tusla E Learning Children First Programme (see note below). and only then will places be confirmed. As there is a demand for this training, places will be allocated on a first come first serve basis. Places are limited and priority will also be given to services who have not yet completed any Children First Training. PLEASE NOTE: Your place will NOT be confirmed, and you will NOT be able to take part in this training unless the e-learning has been complete. *The Tusla E Learning Children First Programme. This is an online training session which takes approximately 1.5 hours to complete. 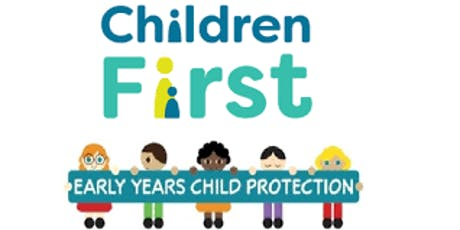 If you have not already completed the online training please copy this link into your browser and scroll down to the blue box where it states “access the training” http://www.tusla.ie/children-first/children-first-e-learning-programme. You will be required to enter an email address and password. At the end of the session the certificate will be emailed to the email address that you used to access the training. If you are a pre-school or a school-age service who employs one or more persons you are legally required to have a Child Safeguarding Statement. Services must have their *Child Safeguarding Statement completed and displayed in their service. *A Child Safeguarding Statement is a written statement that specifies the service being provided and the principles and procedures to be observed in order to ensure, as far as practicable, that a child availing of the service is safe from harm. It includes a risk assessment, measures to manage any risks and a number of mandatory safeguarding policies and procedures. Early years services (including preschools and school age services) who employ at least one other person will have a legal obligation to publish a Child Safeguarding Statement. Services will have 3 months from December 11, 2017 to comply.